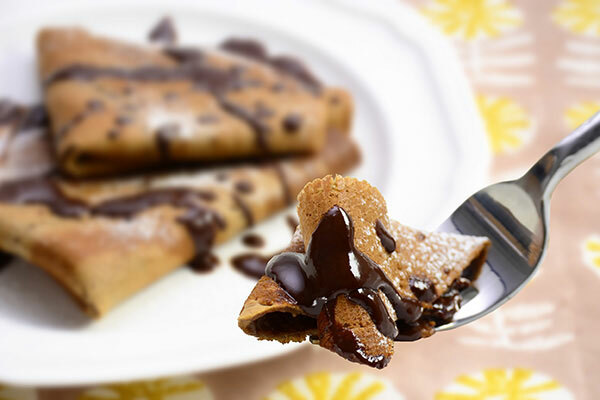 Indulge in this warm dessert full of chocolaty happiness! It is easy and fun to make – a perfect recipe for a family fun dessert! **This recipe was developed for the Gourmet Sizzler® Electric Griddle (EA-BDC10). Adjustments may be necessary when using other models. 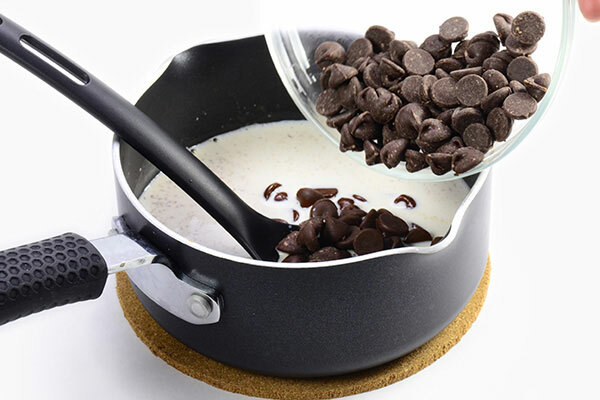 Place milk, semi sweet chocolate chips and butter in a saucepan and heat to melt. In a bowl, whisk together eggs with sugar and mix in half the amount of flour. 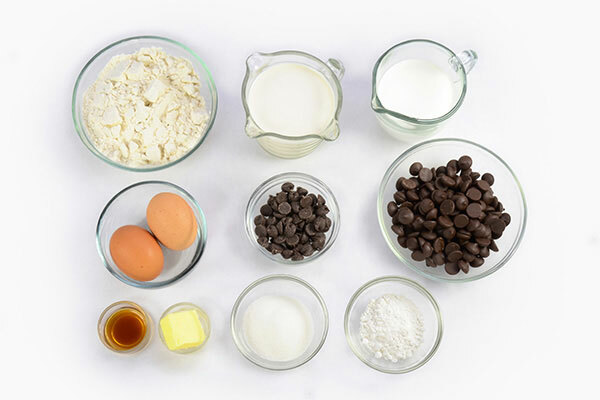 Add chocolate mixture, vanilla extract and remaining flour and mix well. Strain mixture into a pitcher, cover and let sit for 30 minutes in room temperature. 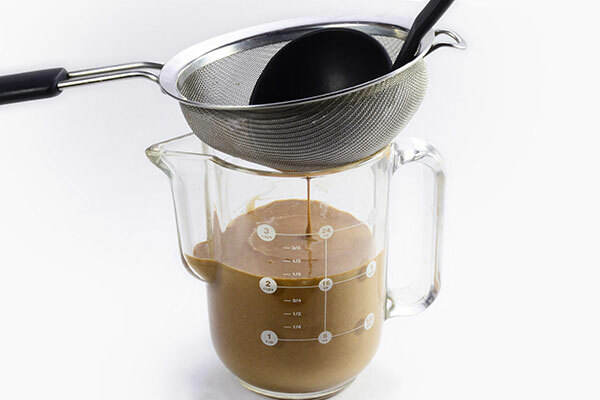 If necessary, whisk in milk or water to adjust to the consistency of thin cream. 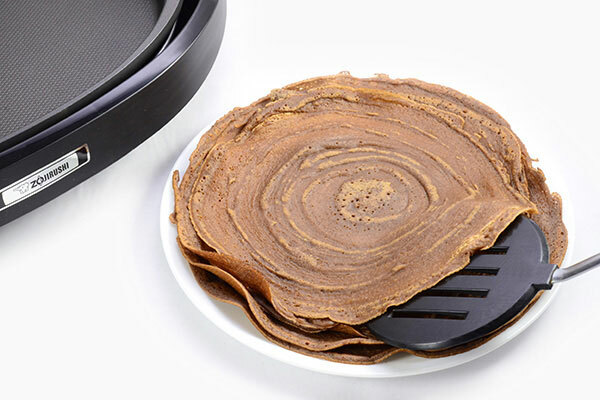 Make a crepe. 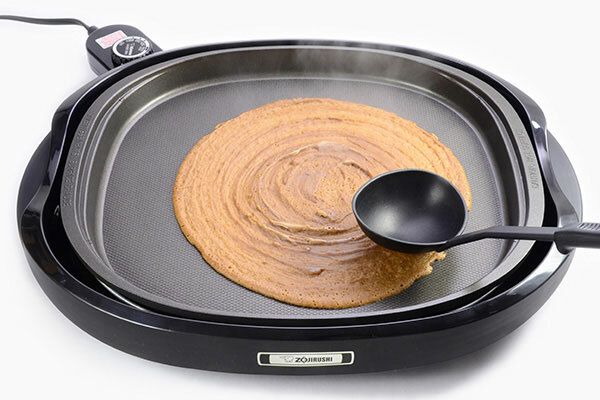 Heat Gourmet Sizzler® Electric Griddle (EA-BDC10) to 400°F. 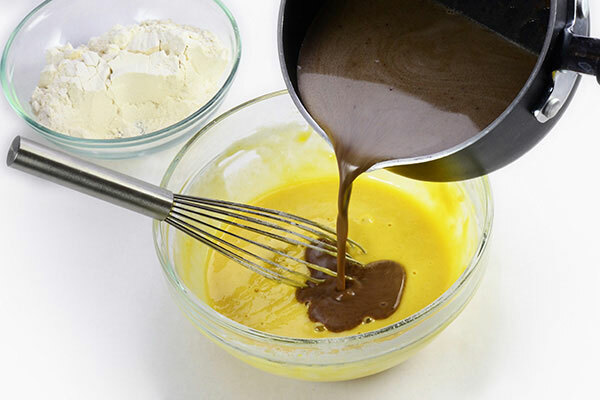 Quickly pour about one ladleful of batter and spread the batter thinly with bottom of the ladle. Cook until lightly browned, flip and cook other side. 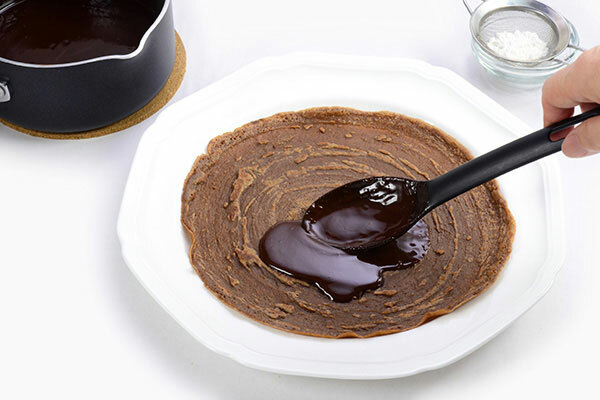 Make the chocolate sauce. Heat cream in a saucepan until just before it begins to boil. Remove from heat, add dark chocolate chips and stir until the chocolate chips have melted. 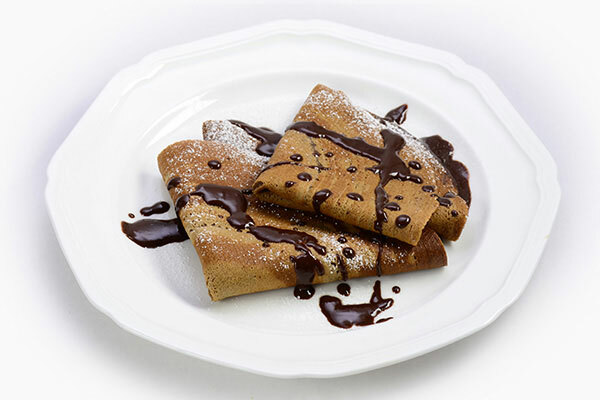 On a warm plate, spread each crepe with warm chocolate sauce then fold in half, then into fourths. 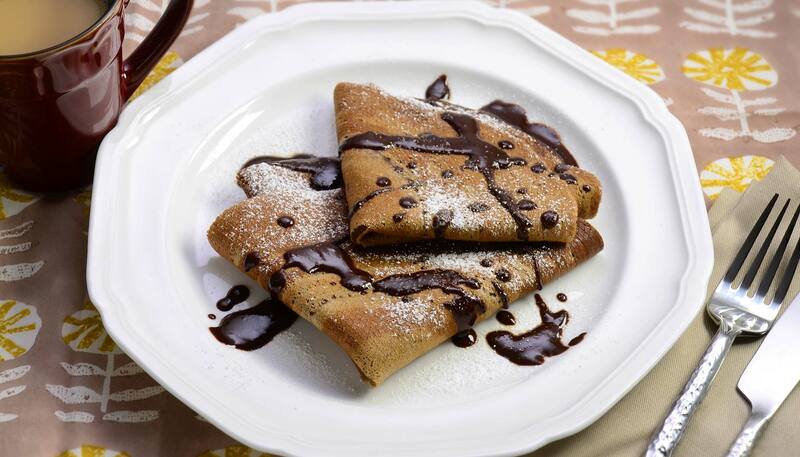 Dust with powdered sugar, drizzle chocolate sauce over and serve warm.